Lights can be made to turn on and off at a frequency that makes the flicking imperceptible to the human eye. This can thus be used to transmit information. 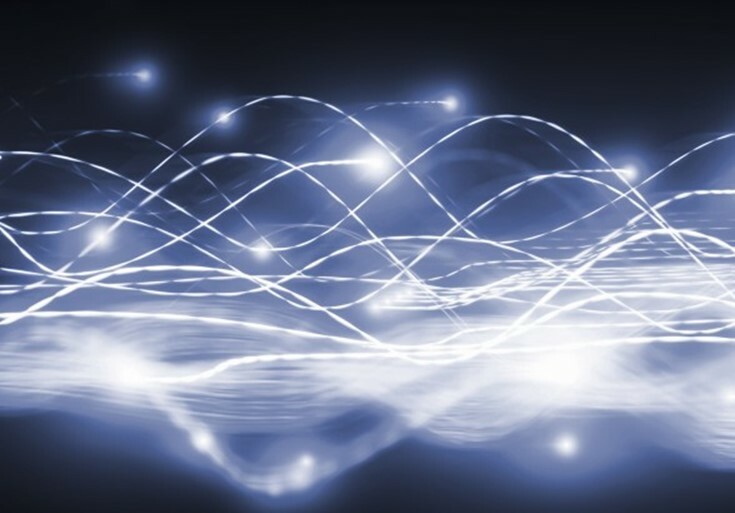 It’s like Wi-Fi except instead of radio waves to encode 1s and 0s, waves of light are used instead. The main drawback of using it to replace Wi-Fi is also the technology’s main feature. Light can’t penetrate walls so you can’t ensure reliable internet across a home. But many businesses wish they could keep the internet within their walls for security reasons. Light might also be the best way to transmit information wirelessly on aircraft or in hospitals. While the effect is marginal, traditional wi-fi still has the tendency to interfere with the signals generated by sophisticated equipment. Since airplanes come with reading lights anyway, cabins could re-purpose them to save on the weight of cables and bring down fuel costs. Currently mainstream tablets and phones don’t have the technology to transfer information via light. But a simple USB dongle can enable the functionality. And it’s possible that smartphone cameras can be used for the task. The technology might even be embedded in street lamps to provide internet connectivity across a city. The Economist has many more details about the technology. What Is The Limit To The Tallest Building In The World?